Layla's mind goes a million miles a minute, so does her mouth - unfortunately her better judgement can take a while to catch up! Although she believes she was justified for doing what she did, a suspension certainly isn't the way she would have wished to begin her time at her fancy new high school. Despite the setback, Layla's determined to show everyone that she does deserve her scholarship and sets her sights on winning a big invention competition. But where to begin? 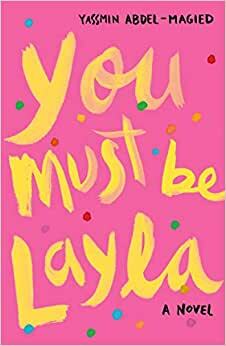 Jam-packed with heart and humour You Must Be Layla by Yassmin Abdel-Magied reveals a powerful new voice in children's writing. Touching on the migrant experience and exploring thought-provoking themes relevant to all teens, this book shows the strength required to be a Queen with a capital 'Q'. Start reading You Must Be Layla on your Kindle in under a minute. With over a decade's experience in non-profit governance, Yassmin founded her first organisation, Youth Without Borders, at the age of 16. She has since served on numerous board and councils, including the Council of Australian-Arab Relations and ChildFund, and also serves as the Gender Ambassador for the Inter-American Development Bank. Yassmin has delivered keynotes in over 20 countries on unconscious bias and leadership. Her TED talk, What Does My Headscarf Mean to You?, has been viewed over two million times and was chosen as one of TED's top ten ideas of 2015. Yassmin is currently based in London. Bought for my daughter and read it first. It's pulp propaganda. Clichéd coming of age story combined with self pity and angst. Terrible.